Imagine this. You walk into a gallery and see a Van Gogh landscape hanging on the wall. A few inches to its right hangs an eighteenth-century Japanese woodblock print. A film of confusion clouds your view as your head jerks towards the sign by the entrance, searching for clarity. “Is this the Impressionism gallery?” You think you’re asking the security guard, but you are really asking yourself. Your voice is too low for him to hear. You turn back to the artwork. 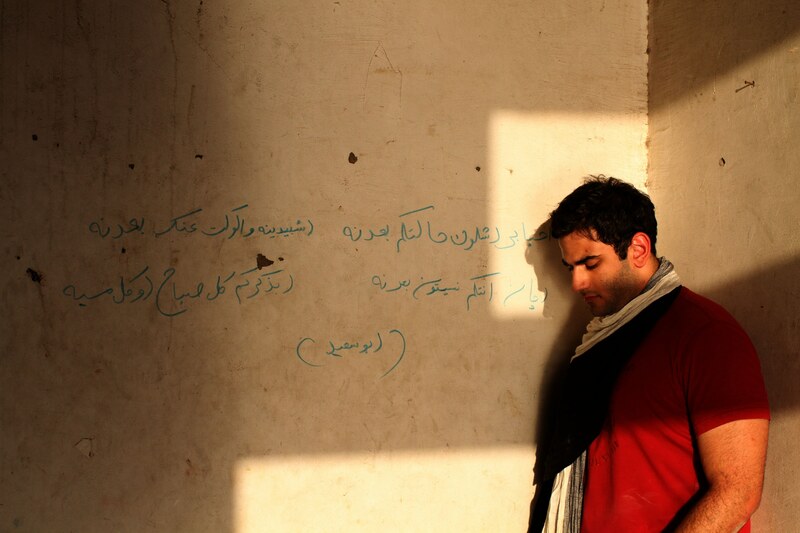 After a moment of contemplation, your furrowed brows straighten, and your forehead smoothes. You start to see how the delicate impressionistic swirls in the Van Gogh are curiously reciprocal of the fine, inky curves in the Japanese woodblock, and the same exact palette of vivid blues, jades, scarlets, and ochres could have been used to create both works. You notice the Japanoiserie essence swimming in Van Gogh’s brushstrokes, in the animation of the landscape, in the jagged edges of the tree-branches, in the subtle dancing of the leaves, in the simultaneously quiet movement of it all. How could these two pieces exist independently in your mind after this? How – and why – does a nineteenth-century Dutch impressionist painting displayed next to a traditional Edo-era Japanese woodblock look, and seem, and feel so … right? Now, I am no expert. I’ve conjured a hypothetical scene based on some details I know of art history. But this scenario is a flavor of what the Louvre Abu Dhabi is trying to achieve in “putting artworks in conversations with one another” – one of its core philosophies. I know Van Gogh was inspired by Japanese aesthetics, but many patrons may not. What will happen, then, to the audience, to gallery spaces, to art historical narratives, and to the artworks themselves when these seemingly unrelated works from vastly different cultures, traditions, and time periods are displayed side by side? The Louvre Abu Dhabi calls itself a “Universal Museum,” but other museums have described themselves in seemingly similar ways. The British Museum calls itself a “Museum of the World.” The Metropolitan Museum in New York City considers itself an “encyclopedic museum,” as does the original Louvre in Paris. 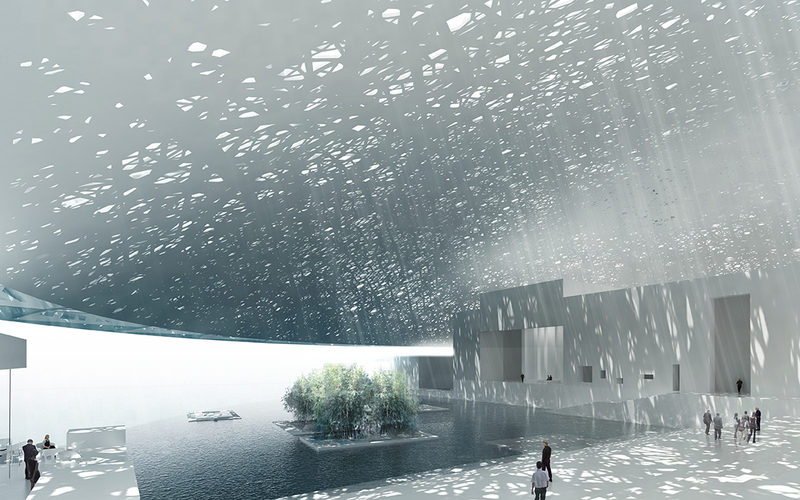 What, then, will make Louvre Abu Dhabi different? What can it mean to be a museum that is “universal”? Some might argue that a universal museum is not too dissimilar from being an encyclopedic museum, or a “Museum of the World” for that matter, and they could be right. What I gradually began to discover, however, during my time as a student ambassador for the museum surprised me: what makes the Louvre Abu Dhabi unique is that it is not merely a universal museum, but rather a universal museum that rethinks universality, and does so in a most thoughtful and profound way. Image © TDIC, Architect Ateliers Jean Nouvel. I entered the realm of the Louvre Abu Dhabi not really knowing what to expect. There was a call for application to a “Louvre Abu Dhabi Student Ambassador Programme” and as an arts enthusiast, naturally, I was intrigued. The application process was rigorous and competitive, and I was ecstatic when I got in, but there was still a feathery sense of discomfort tickling my happiness. I felt somewhat skeptical, perhaps even hypocritical. I remember thinking to myself, “how could one of the oldest, most prestigious “western” museums in the world, with eight hundred years of rich history, be replicated in the Middle East in less than a decade? 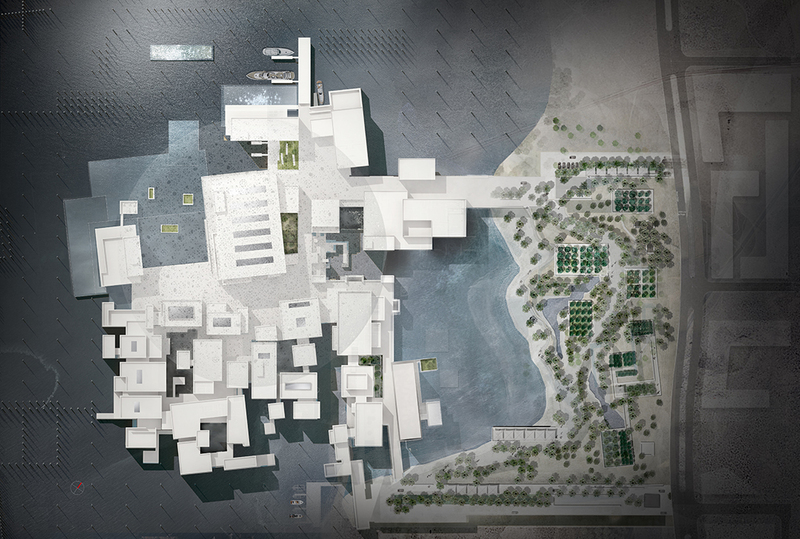 How would a museum like this work within the cultural landscape of the UAE? What was the point of importing a western museum with a western name, a western architect, and possibly even a western audience? Was having an “Emirati Louvre” an attempt at franchising culture? The Louvre fit in France; it did not fit in Abu Dhabi. This idea seemed inorganic. Artificial. Superficial. Ridiculous. When I joined the Louvre Student Ambassador Programme, I was shrouded by these doubts, but my skepticisms were soon dispelled, and I was amazed with what I discovered during my time as a student ambassador. Without roof, showing gallery spaces. Photo © TDIC, Architect Ateliers Jean Nouvel. On our very first programme orientation, one of the members made the mistake of referring to herself as a “Louvre Ambassador,” and our supervisor immediately corrected her: “Louvre Abu Dhabi. You are a Louvre Abu Dhabi ambassador, not a Louvre ambassador. We are not the Louvre.” And this correction lingered with all twenty-four of us from then onwards. Our supervisor was right. The Louvre Abu Dhabi is, as I discovered after series of programme lectures, workshops, meetings, and conversations, most definitely not the Louvre. It may have the same name, draw from the latter’s expertise, and borrow a significant amount of artwork for its collection, but the mission of the Louvre in Abu Dhabi sits on a whole other spectrum. What makes the Louvre Abu Dhabi unique is that it is not merely a universal museum, but rather a universal museum that rethinks universality, and does so in a most thoughtful and profound way. What I began to understand is that the originality of Louvre Abu Dhabi resides in the unique narratives it proposes in presenting these supposedly divergent civilizations in the same spaces, galleries, and cabinets, prompting the audience to ask whether these civilizations are really so different after all. It would be naïve to assume that this kind of thematic organization is totally original, that it has not been attempted before. There are galleries and exhibitions that have, in the recent past, adopted a similar thematic presentation style. In 2015, for example, I visited the Brooklyn Museum, one of New York’s more daring museums, to see an exhibition of African Art called Double Take: African Innovations. Billed as an “experimental installation,” the show carefully grouped artworks into several “universal themes” – “Art of Power,” “Art of Innovation,” “Art of Satire,” “Art that Moves” and so on – that suggested unexpected links between two or more seemingly dissimilar objects. In a manner that anticipates the organizational scheme of the Louvre Abu Dhabi, the Brooklyn Museum exhibition dismissed the usual forms of classification based on chronology, region, or medium, choosing instead to link the works through the selected themes. No matter how vast and diverse the African continent may be, the Brooklyn Museum’s exhibition was nevertheless limited to one region; the Louvre Abu Dhabi is much more ambitious in its inclusivity. More importantly, the Brooklyn exhibition was precisely that: an exhibition. A part of a whole. Temporary. Transient. 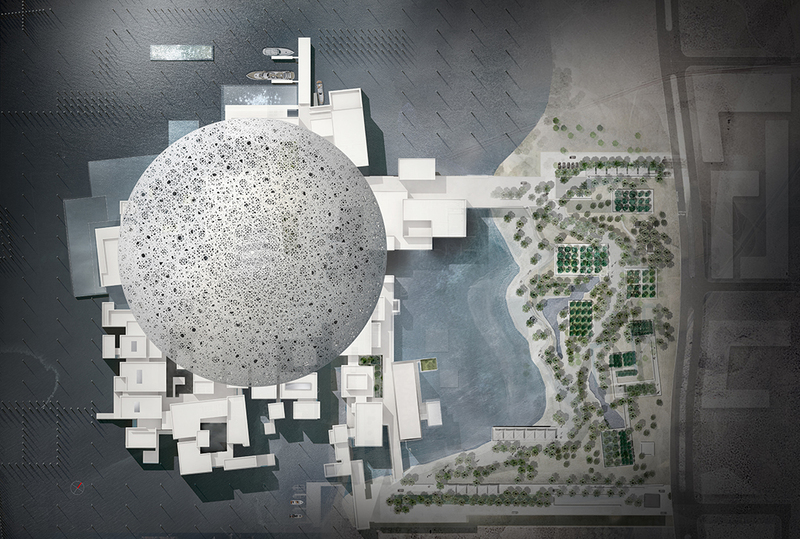 No museum has ever done what Louvre Abu Dhabi is doing: building a whole museum on the philosophy articulated by Charnier, namely defying expectations and giving the audience a “desire to know” as a way of rethinking the narrative of universality, an entire museum that transcends geographic, chronological, and historical boundaries. 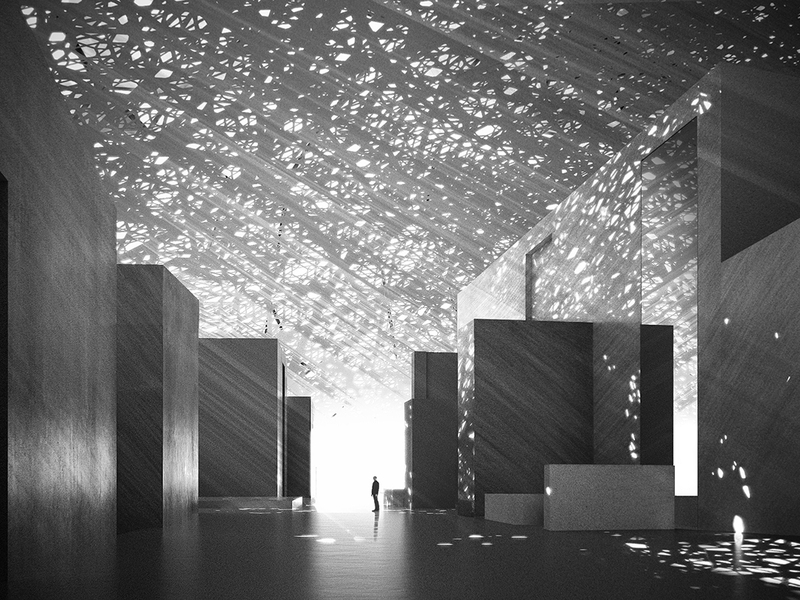 The Louvre Abu Dhabi is taking a revolutionary leap in the world of museology. Because we live in a multipolar and multicultural world where references abound and where collective history is constantly being re-written, encyclopedic-style information is no longer possible. “Universal” is a troublesome word, however. 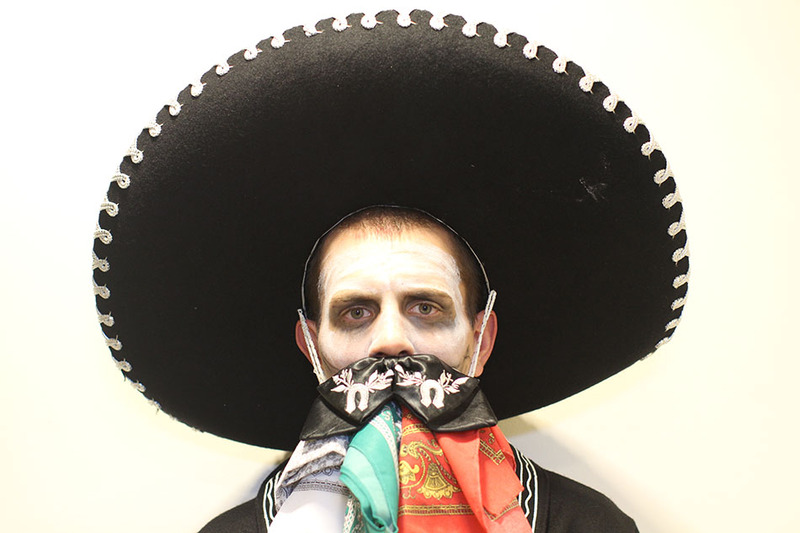 It may invoke colonial or imperialistic connotations. Critics might argue that “universalism” enforces a kind of flattening effect whereby diversity is neglected in the effort to find transcendent global patterns that prove our sameness. We also need to ask: who gets to decide? Who gets to set these narratives, and based on what assumptions? Isn’t the very suggestion of a narrative limiting, in some way? 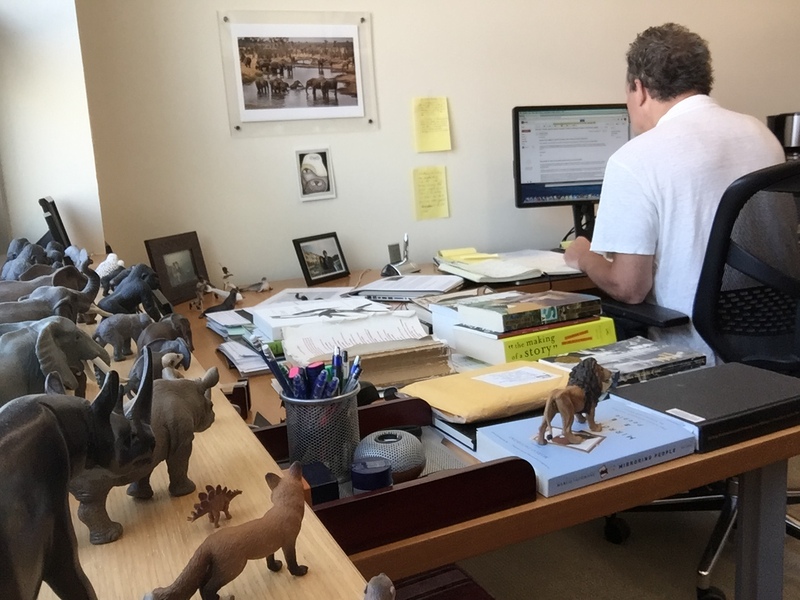 What if a work of art belongs to more than one “universal” category? Artist’s rendering of interior view. I was also interested in the question of why now? And why in Abu Dhabi? What is it about our unique historical moment that makes the opening of a museum like the Louvre Abu Dhabi not only significant, but necessary? According to Jean-Francois, Abu Dhabi is a multicultural city between Asia and the “Western world”, whose cosmopolitan dynamism is at the heart of the contemporary world. To him, the significance of a project like Louvre Abu Dhabi, on this size and scale, is the fact that it will play an important role as a catalyst for cultural interaction and offer visitors the opportunity to gain a new perspective on the histories of humankind. “It will be a place of education and reflection for all, connecting Abu Dhabi to the world and the world to Abu Dhabi. It will be a bridge to the future, offering generations to come the opportunity to become true global citizens, developing and learning regardless of cultural background,” he wrote. I would also add to Jean-Francois’ statement the idea that, in the past decade and especially within the last few years, we have seen the rapid global spread of racism and xenophobia. Forces of migration, diaspora, and the concomitant fear of difference are driving nations, peoples and individuals further apart. Questions of belonging, identity, and openness are being challenged and reexamined. The Louvre Abu Dhabi functions on the opposite philosophy. The museum is operational on the very basis of difference, on allowing the audience to entertain those differences and find the threads that weave seemingly distant cultural chronicles together on the loom of human existence. It provides an alternative to violence, a remedy for hostility on the basis of disagreement, and may even suggest that it is our art that can save us from our prejudices. And perhaps, under the 7,850 star-shaped pieces of aluminum and steel of various sizes and angles that compose its very complex dome, the Louvre Abu Dhabi will provide a narrative that highlights that our differences are what unite us. Shamma Faisal al Bastaki is a senior at NYU Abu Dhabi. The Louvre Abu Dhabi opens to the public on November 11, 2017. All images copyright TDIC and Architect Ateliers Jean Nouvel. Used by permission.